United States Treasury imposes sanctions on three Hezbollah military officials and a businessman tied to the group. The United States Treasury imposed sanctions on three Hezbollah military officials and a businessman tied to the group on Tuesday, citing their support for the regime of Syrian President Bashar Al-Assad. According to the AFP news agency, the Treasury named Mustafa Badr Al Din, said to be in charge of Hezbollah's military operations in Syria; and Fu'ad Shukr and Ibrahim Aqil, both members of Hezbollah's top military body, the Jihad Council, and both involved in the group's military activities in Syria, in support of the Assad regime. The Treasury added that Aqil was involved in the hostage taking of two Germans in the late 1980s and bombings in Paris in 1986. Also named was Abd al Nur Shalan, which Washington called the "point person for the procurement and transshipment of weapons and materiel for (Hezbollah) and its Syrian partners for at least 15 years." Being designated for sanctions allows the Treasury to freeze any assets on United States territory tied to the individuals, and forbids any Americans or U.S. institutions from doing business with them. The Treasury said the new action was the latest in efforts the government is taking against Lebanon-based Hezbollah "for its violent terrorist activities and its support to the Assad regime's attacks against the Syrian people," according to the AFP report. 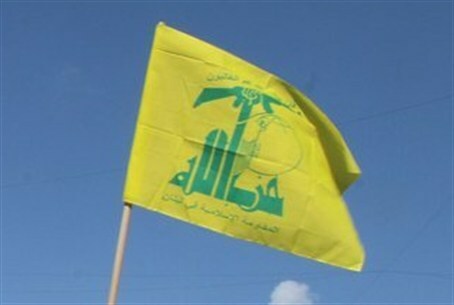 "We will pursue all of Hezbollah's revenue sources, whether charitable fundraising, criminal proceeds, or state sponsorship," said Adam Szubin, Treasury acting under secretary for terrorism and financial intelligence. Tuesday’s move came a little more than a month after the Treasury placed on its sanctions blacklist three Lebanese men and companies which were described as being part of a "key Hezbollah support network." As part of that move, the Treasury placed asset freezes and restrictions for doing business on real estate businessman Adham Tabaja and his Al-Inmaa group of companies, Kassem Hejeij and Husayn Ali Faour, and the company he manages, Car Care Center. Washington has in the past imposed sanctions on the group’s leader Hassan Nasrallah and two other members of the organization, for their alleged role in aiding the Syrian government in its crackdown on opposition forces. However, it has also been revealed in the past that the U.S. government was providing indirect aid to Hezbollah in its fight against Sunni rivals including ISIS, as part of a wider strategic shift to cozy up to the terrorist group, which also includes intelligence-sharing.